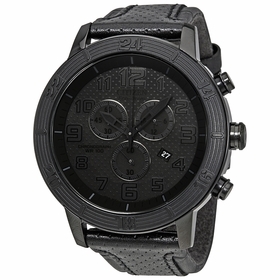 Black ion-plated stainless steel case with a black stainless steel mesh bracelet. 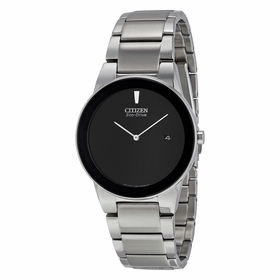 Fixed black ion-plated stainless steel bezel. Black dial with silver-tone hands and index hour markers. Minute scale around the inner rim. Dial Type: Analog. Luminescent hands. Three - date, day, and 24 hour subdials. 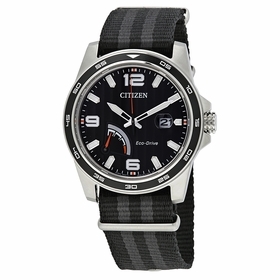 Citizen Caliber Eco-Drive 8729 eco-drive movement. Scratch resistant mineral crystal. Screw down crown. Solid case back. Round case shape, case size: 44 mm, case thickness: 13 mm. Band width: 23 mm, band length: 8 inches. Deployment with push button release clasp. Water resistant at 100 meters / 330 feet. Functions: date, day, GMT, second time zone, hour, minute, second, solar-powered. Casual watch style. Watch label: Japan Movt. 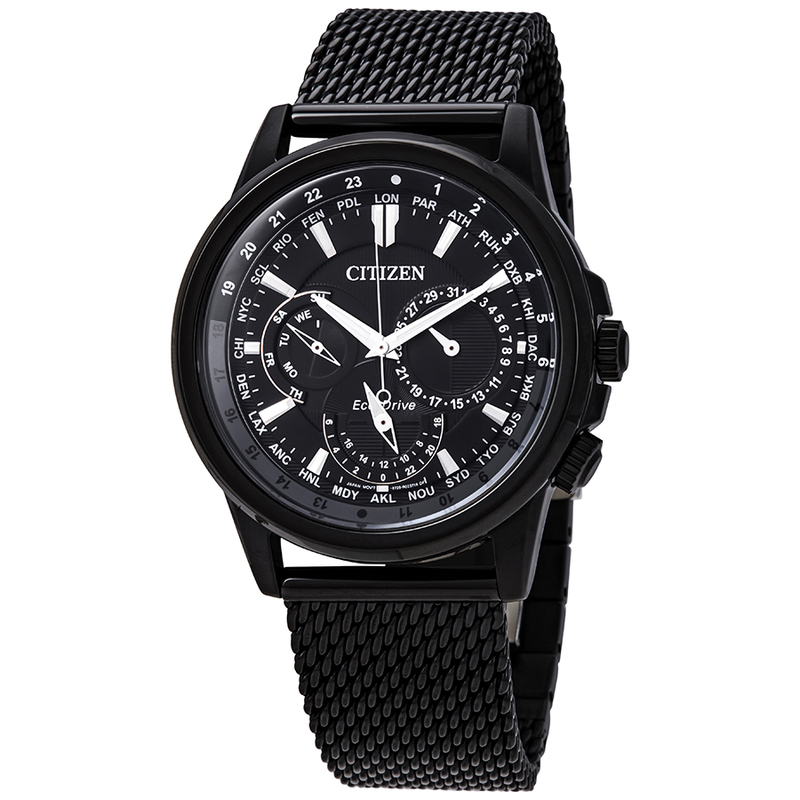 Citizen Eco-Drive Black Dial Mens Watch BU2025-76E.